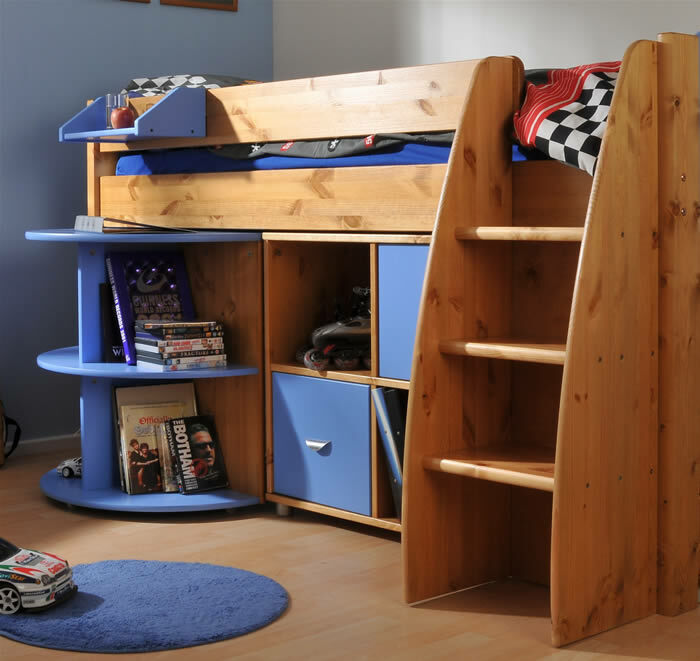 The Stompa Rondo 1 mid sleeper cabin bed is available in a wide variety of colour options suitable for both boys and girls. 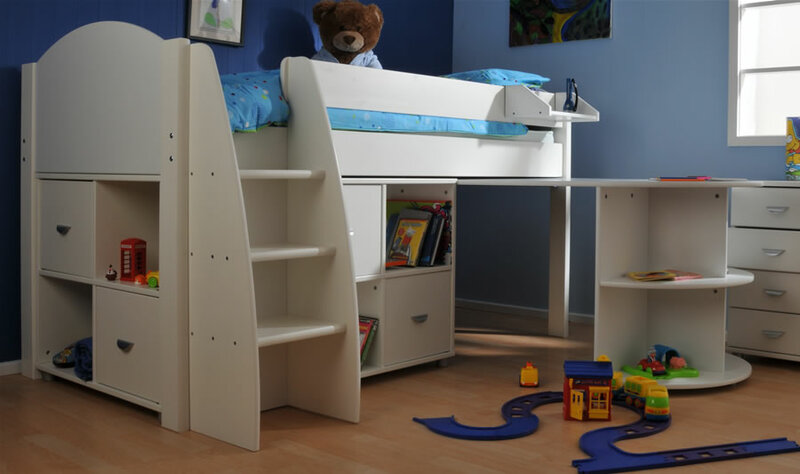 The mid sleeper frame on the Rondo 1 comes in a modern white finish, the gable ends, ladder, pull-out desk and cube doors are available in blue, lilac and white. 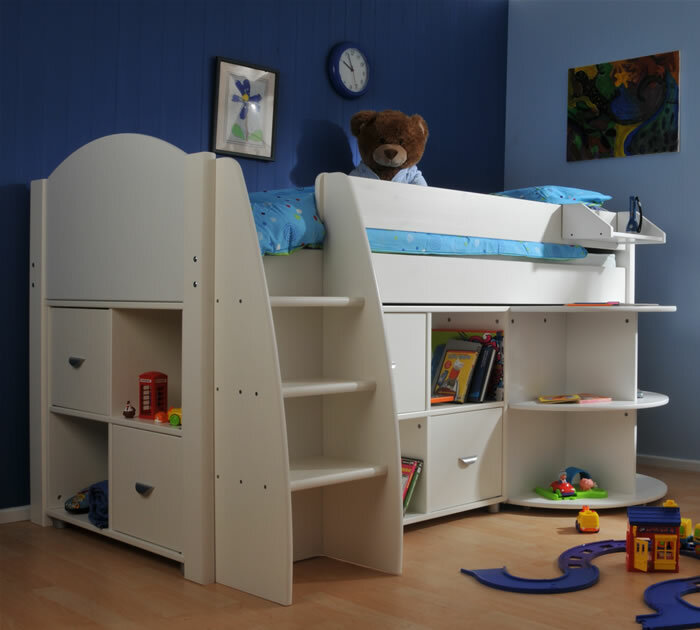 A fixed and sturdy three step ladder provides easy access to the sleeping area and can be positioned to the head or foot of the bed. 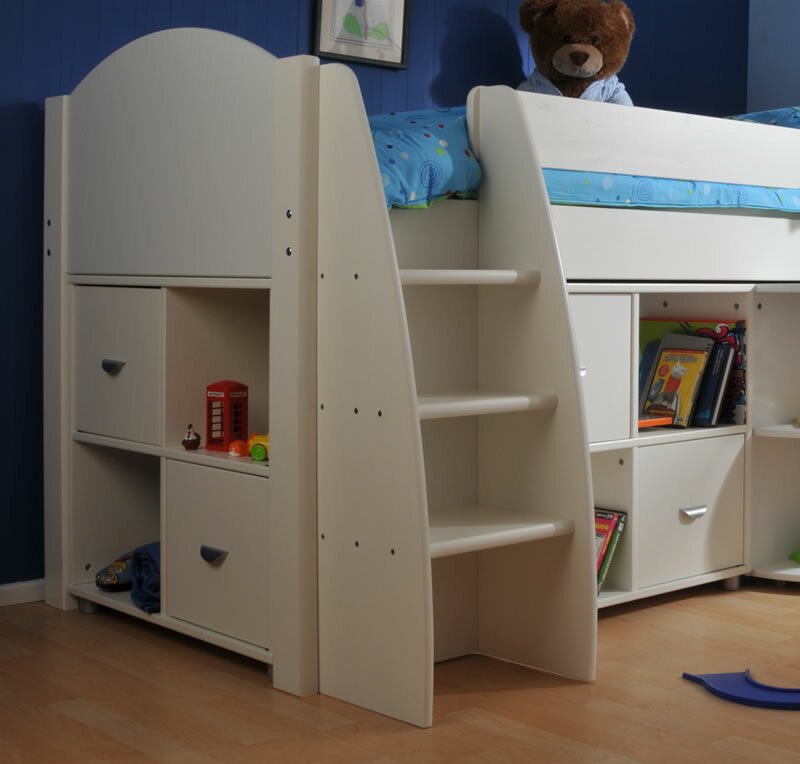 For additional bedroom storage the Rondo 1 comes complete with two stompa cube units, each has two open storage shelves and two coloured cupboard doors. 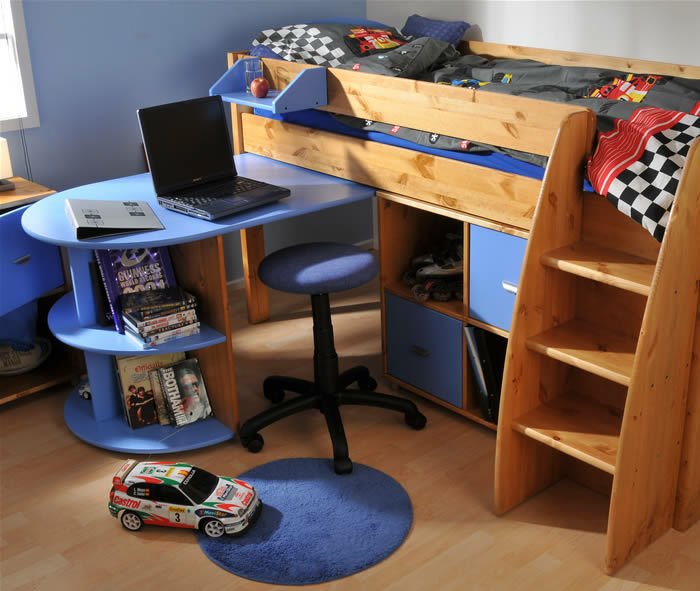 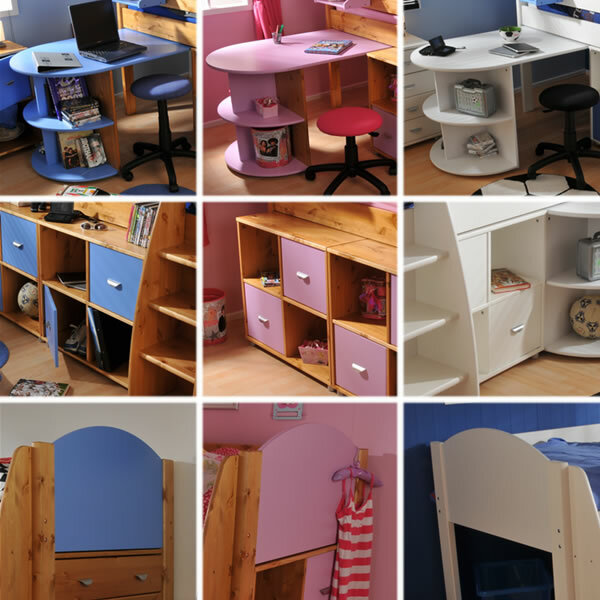 To complete this multi functional mid-sleeper bed a pull out desk is included which extends 110cm from the bed and has rounded end shelves for storage.